These are the words by Íris Silva, a new student who attended the welcome week this Monday. 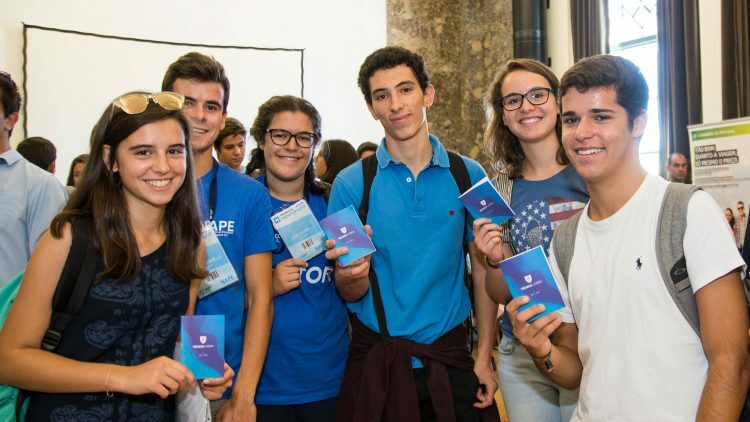 Íris Silva, Inês Lucas and Mafalda Moniz are three new students who attended the welcome week this Monday, September 10. The three students applied to Integrated MSc in Engineering Physics and they were well succeeded. “I am expecting a year full of hard work and some frustrations”, says Mafalda Moniz. “We used to be a big fish in a small pond and right now it’s the opposite”, shares Íris Silva, who also adds: “The academic rigour at Técnico is challenging”. During the day, the new students asked a lot of questions about how hard is it to study at Técnico, how many hours do they need to study to be successful. During the course presentation sessions the professors underlined the need for an organised study and for an additional effort in this new stage of academic life. 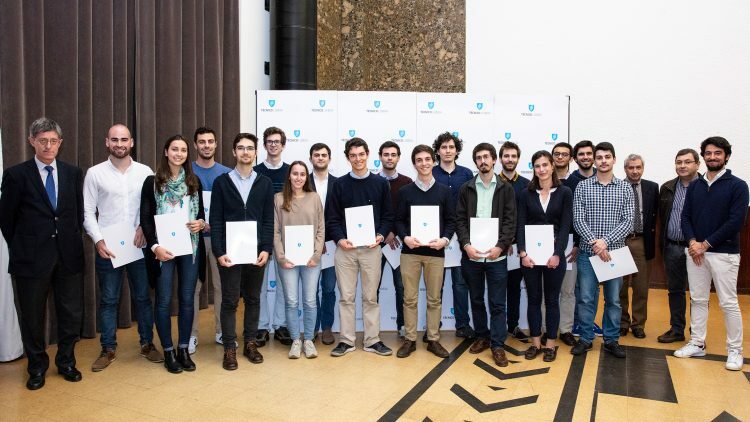 According to professor Fernando Lau, adjunct coordinator of MSc Aerospace Engineering (MEAer), “The most important thing is that you came all this way, so this proves that you are very good students”. Francisco Ferreira, MEAr new student, listened very carefully to what mentors told him but now he is still enjoying his victory: “I am very happy, and the most important thing for now is that I am here, I made it!”, he says. According to Pedro Fonseca, who also applied to MEAr, “studying here will help my future career”. “People use acronyms and abbreviations all the time here” says Rita Feixeira, new student of Integrated MSc in Biomedical Engineering . She was born in Fátima and she had never been to Técnico. Her first impression when she arrived was that “I could easily get lost here”, she comments. “I’m excited and scared,” she says. And then she explains that she has been learning some good advice from mentors. “I know that this will be a hard year, but I think this is part of this new stage, which will be key to our personal development. I’d rather think about all the things that I can learn here”, she stresses. “Probably next year I will be using a lot of acronyms and abbreviations too”, she jokingly said. The first day of the welcome week was devoted to the four courses that had the highest admission average: Aerospace Engineering, Engineering Physics, Biomedical Engineering and Applied Mathematics and Computing.